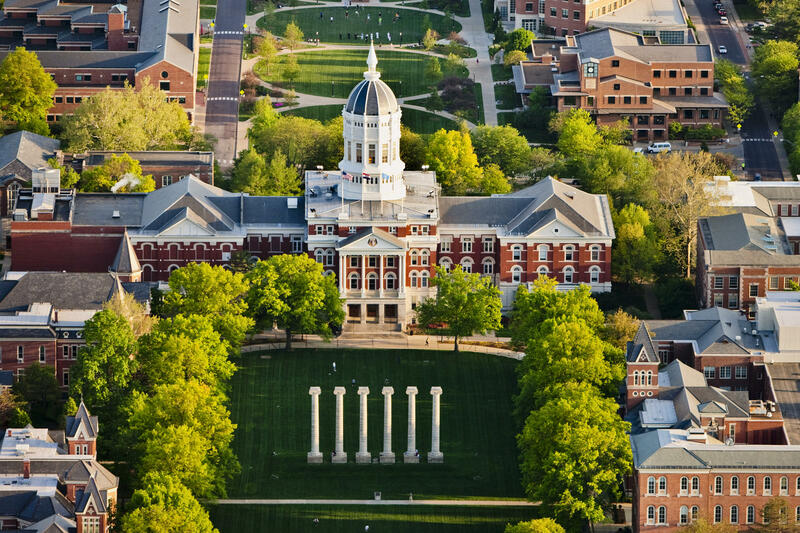 The University of Missouri raised a record amount of money in the past fiscal year. Donors deposited a record-breaking amount of money into the University of Missouri’s coffers last fiscal year. The university in Columbia, Mo., beat its 2013-14 fiscal year goal of raising $150 million by pulling in $164.5 million. The amount broke the previous record of $160 million raised in fiscal year 2008. Thomas Hiles, ​MU vice chancellor for advancement, says the record is noteworthy because it was reached without mega gifts, which the university has received the previous two years. Fiscal year 2013-14 was the most successful ever for Mizzou fundraising. Hiles attributes the school’s financial boon to an increase in smaller donations, as well as increasing the number of $1 million donors. The university raised 20 percent more money than in the previous fiscal year, raising its endowment to $783 million. Hiles says that in the face of diminished state education funding, the university is prepared to rely increasingly on private gifts. The university received gifts of more than $1 million to the law school and veterinary school. And the Missouri School of Journalism received a $6.7 million donation from reality television producer Jon Murray – known for his programs about the Kardashians — to establish a documentary journalism program. A new agreement signed by universities and community colleges in Kansas can help students earn associate degrees. The program is aimed at helping students who transfer from a community college to a university, and puts in place a "reverse transfer" policy. Students who can be helped by this include those who transfer to a university before finishing their associate degree at a community college. After the student earns the required credits for an associate degree at a university, the community college the student previously attended will automatically issue the degree.